Directed by the award-winning Maeve Murphy, ‘Silent Grace’ is the untold story of the women prisoners in Armagh Prison during the 1980 Prison Protests and 1st Hunger Strike for political status. In this emotive film, Áine is a young tear away criminal thrown into the same cell as Eileen, a high ranking Republican prisoner and leader. At first, both are at odds. But soon friendship begins to grow and Eileen helps save Áine’s sanity. Eileen then embarks on a hunger strike and Áine risks all to support her life. 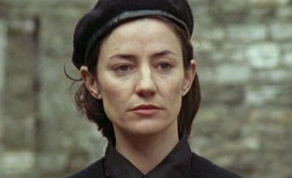 Starring Patrick Bergin (Red Rock) and Orla Brady (Price of Desire), Silent Grace firmly places women back in the narrative of the 1980s and makes compelling viewing. TV3 Group continues to support the Irish film industry with the TV premiere of ‘Silent Grace’ this Saturday 24th June on be3 at 9pm.